Historical costume is one of those things which fascinates so many people. We see it in theatres, on television and film in dramas and documentaries, and we see it in museums. There is a romance in historical costume that is difficult to find in most modern fashion. There are clubs dedicated to re-creating the costumes and lifestyles of every age and culture. Some have been around for so long that many people (like me) have taken their fascination with making costume from the club, to the professional world. If you have an insatiable fascination with making historical costume, but don't know where to start… well, start here, of course! But seriously, you can't go far wrong joining in clubs and societies where like-minded people are making similar things to yourself and you can share your experiences together to make something brilliant! Be prepared to throw some of your ideas from modern fashion design out the window, because they will only hold you back. Waistlines may be higher (or lower) than you expect. Armscyes may be a different shape (for a very good reason). Taking shortcuts, like leaving out linings, petticoats, hoops or even some underwear, can spoil the entire look of your piece and leave you wondering why you went to so much effort. Be prepared to hunt down fabrics which both look, and feel "right" when making costume replicas. Many modern synthetic satins and other materials simply won't hang correctly or allow you to be comfortable when wearing garments that have so many layers. If you're a complete newcomer to sewing, then don't be afraid, because we've tried to make it as easy as possible for you to understand. Start with something simple to get your feet wet, and wade in as far as you please after that! This section of the site is where I've put the historical notes, and some of the notes on constructing costume with historical accuracy. You will be able to access them from other parts of the site and from specifically related articles as well. Social history is a fascinating subject, and recreating clothing is a fantastic way to understand it. There are sumptuary laws. 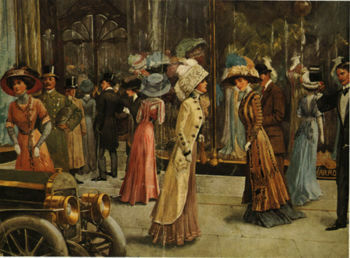 There are shifts in styles - over time - from the upper classes down to the lowest classes, religious influences, internal and external cultural influences (for example, the influence of Middle Eastern costume on Europe during the Crusades, Turkish and Indian styles on Regency Fashions, or Japanese styles during the Art Deco era). There are changes in cut, in technologies like spinning, weaving, sewing and dyeing… The list is long, and fascinating! The best place to start is by learning how to do costume research, and then working your way through some more of the articles below. Our beginners section is another good place to get started quickly! Pick something you like, from a good source, and follow the steps! Why was Showing Your Chemise so fashionable in the 15th & 16th Centuries?